Ideal for your nightstand, the BOOST UP Wireless Charging Dock provides 3-in-1 charging to power your essential devices while you sleep. A 7.5-watt wireless charging pad fuels your iPhone at the fastest possible wireless speed, while a 5-watt Magnetic Charging Module powers your Apple Watch. The dock supports Nightstand mode for the Apple Watch to enable the alarm clock feature as it charges. An additional 5-watt USB-A port allows you to simultaneously charge another device like an iPad or power bank, to create a three-device charging station all from a single AC outlet. 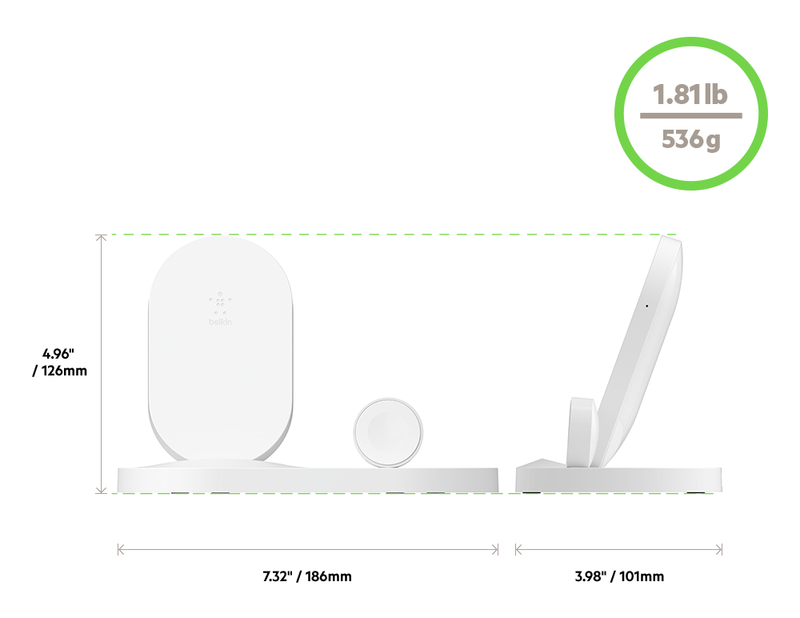 *Belkin has sold more units than any other 3rd party wireless charging brand since Jan 2014. The NPD Group. Inc. U.S. Retail Tracking Service. Mobile Power. Charger Wireless, Jan 5 2014 to Feb 11 2018. The wireless charging pad is optimised to recharge your iPhone battery as fast as possible. 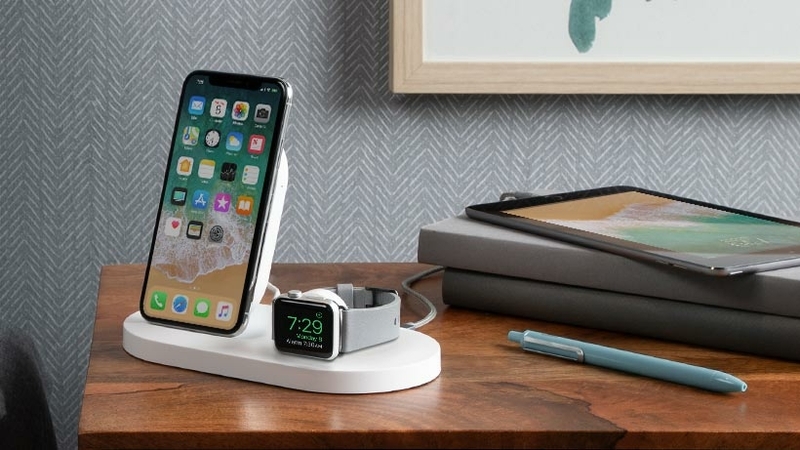 iPhone X, iPhone 8 and iPhone 8 Plus are designed to wirelessly refuel at 7.5-watts, so your iPhone will charge faster using this dock then it would using a standard 5-watt charger. Qi is a wireless technology that uses inductive charging. The BOOST UP Wireless Charging Dock has been engineered to be Qi-compatible, allowing it to also charge hones, tablets and other accessories with Qi technology. LED shows when iPhone is aligned and charging.